Tired of using your old credit card? It’s time for you to shift to a new level. 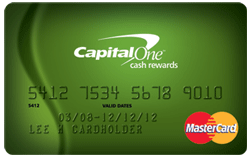 Why not try Capital One’s cash credit card? This card offers competitive rates plus refreshing features on its rewards system. Before anything else, let’s talk about the rates. In terms of the annual percentage rate or APR for purchases, it is 0% intro until August of the year 2013 and after that time it will then be 12.9%-20.9%. For the transfer APR, the intro rate is also 0% until 2013 with the same variable APR as the purchase rate. Annual percentage rate on cash advance is 24.9% variable and the grace period of this card is 25 days on all purchases. And lastly, there is no membership fee. Those who will have Capital One cash credit card will be able to enjoy and make use of a 50% bonus on all the cash backs the owner will earn each year. He or she will also have 1% cash back on the purchases he or she will make. The best thing about this is that thon points earned will be unlimited and will not expire. And the most important factor to remember is their one-time $100 bonus when the account owner will spend or use $500 during the first three months. So those who are always using the card will really be able to earn the bonus and eventually spend it. People would always make it a point to find the best kind of credit card for them to acquire and use at the same time. There are many banks and other financial companies that are offering all kinds of credit cards for their members and customers to grab and use. In order to remain competitive, banks give it all they’ve got, and right now Capital One is offering some of the best rewards in terms of credit cards. 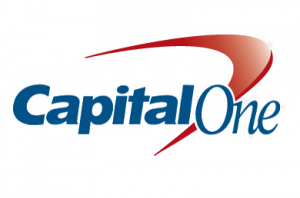 Capital One is a diverse and well-established bank that has many branches all over America. This is the kind of bank that offers a wide array of financial services and products to clients, consumers, and even small businesses. Those who need financial help will surely get it in Capital One but if there is one famous service that people are availing of right now, it is definitely the Capital One Credit Card with cash Rewards. Anyone with a good financial status and record can apply for the Capital One Credit Card with Cash Rewards. This kind of credit card can be used anytime, anywhere. So what are the perks and benefits you can avail of with this card? The first benefit is that there is no membership fee. Say goodbye to sudden charges to your card at the beginning of the year. No membership fees means huge savings for anyone. Those who will be having this card will not have to worry on how much they will be spending for the membership alone. The second benefit is that the APR on the purchases is 0% up to June 2013 and will be 12.9%-20.9 % after. Which is why it’s best to get this card as soon as possible so you can avail of the 0% APR for a longer time. This gives you a long time frame to acquire items using installment without having to worry about interest. Cash advance APR is a variable of 24.9% and the late penalty fee will only just be up to $35 which is very minimal as compared to the other credit cards. And the third and best benefit about this card is the rewards. There will be a 50% bonus on the different cash backs every single year and a $100 one-time bonus for those people who will be able to spend $500 during the first three months of purchasing and using the credit card. These cash rewards are very good bonuses to grab indeed. All work and no play? Capital One Bank just might have the perfect solution for you. Meet the MTV Visa Credit Card. It’s the perfect credit card – and excuse – for you to enjoy MTV-produced events and buy affiliated merchandise. Everytime you use this card, you automatically get 5 points for every dollar on each purchase. Accumulate enough points, and you can redeem travel perks, cash, gift, cards, and MTV merchandise, which range from sporting equipment to electronic devices. But that’s not all. Earn even more points and you may just get yourself some tickets to see the Video Music Awards (VMA) live! And who knows – you might even get to visit the set of an MTV exclusive taping of your favorite artist. Opening an account is very simple. In fact, you don’t even have to have a good credit history to open an account. As long as you have a fairly good to average credit history, you’re qualified. However, if you keep up a very good standing after three cycles of billing, you will get 25 Bonus points in each billing period thereafter. An account in excellent standing means that you regularly pay on time the minimum requirement. Keep this up, and you’ll be reaping those great rewards in no time. APR for Purchases, APR for Transfers, and APR for Cash Advances – Rates for each service may vary, but are currently fixed at 24.9%. Penalty APR – Typically based on the market Prime Rate, but is currently placed at 29.4%. This fee becomes applicable for issuance of late payments. Paying Interest – You will be expected to pay within 25 days after billing. Interest will be charge upon cash advances if you fail to do so. There are no annual fees to bother you with but Capital One does require transactions and penalty fees. You will be requested either 3% of a cash advance, or $10 – whichever greater. As for penalty fees, you will be deducted $35 for late payments, $29 for over-the-credit limits, and $35 for returned payment. Take note that the over-the-credit limit can be issued on your credit card or not, depending on your preference. With all the rockin’ perks it offers, this is the ultimate credit card for the entertainment buffs. Rewarding yourself for spending doesn’t seem too bad now, does it?